Keeping it casual in the city requires a combination of comfort; cropped jeans, silky cami's and an easy shoe; sliding my feet into an open sandal is always a good choice for running around London from meeting to meeting. 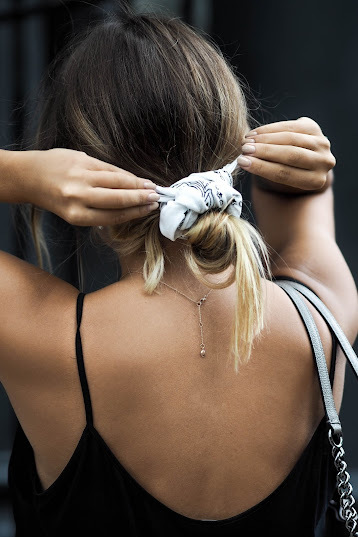 Accessorizing is key when you're faced with an easy, breezy outfit. Keeping with the monochrome theme, I've tied my hair away from my face in an effortless up-do with a white scarf, and accessoried with my newly beloved Edie Handbag. 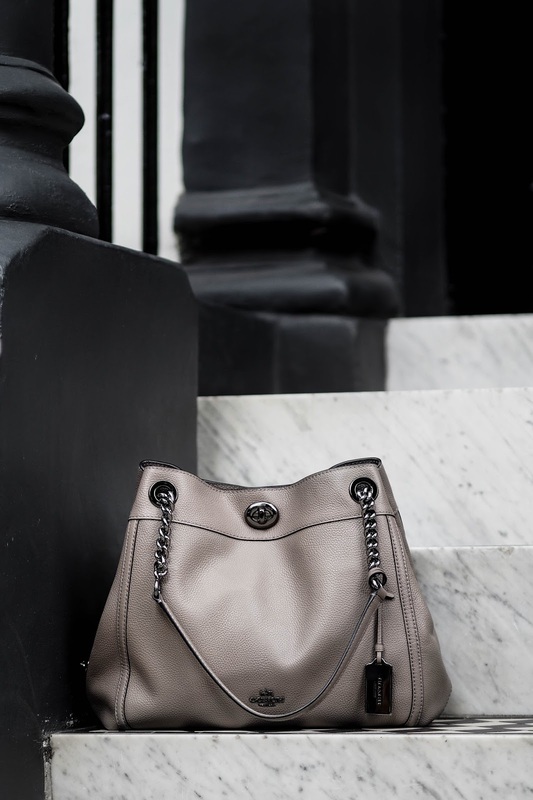 You can grab this Coach Edie turn lock leather shopper from Selfridges. This post is in collaboration with Selfridges and Coach all styling and opinions are my own. This is gorgeous, as always girl!!! omg the bag is gorgeous! Never really checked out Coach before.